Lewis Carroll's story of Alice visiting wonderland is the quintessential silly story. 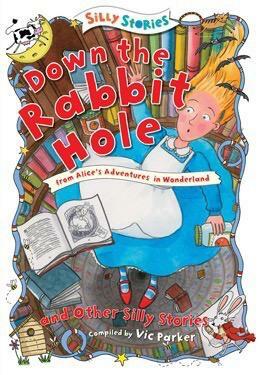 With talking rabbits and seemingly never-ending rabbit holes, "Down the Rabbit Hole" introduces readers to Carroll's incredible detail and invention. Three other amusing takes tickle readers' funny bones, including "A Silly Question" by E. Nesbit, "Books Who Made the Princess Say 'That's a Story'" by Sir George Webbe Dasent, and "The Finest Liar in the World" by Andrew Lang. Colorful illustrations accompany each , adding to readers' own imaginings of the stories.